Several customers have observed that they are seeing longer than usual delays with change sets, this currently affects ALL instances. 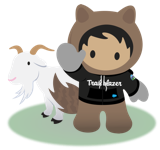 This also affects Packaging so customers might see a Package Not Found error when attempting to upgrade/install a package from the appexchange. R&d is aware of this issue and is working on addressing this ASAP. 3. Navigate to target instance and access Inbound Change sets. 4. Notice that the change set has not come over despite it being a few hours. This issue has been resolved as part of an Emergency Release. 1. Change sets should now be available in the target org. Note: the fix was only released to Sandbox instances since the root cause with replication stemmed from Sandbox instances, hence there is no fix required for production.